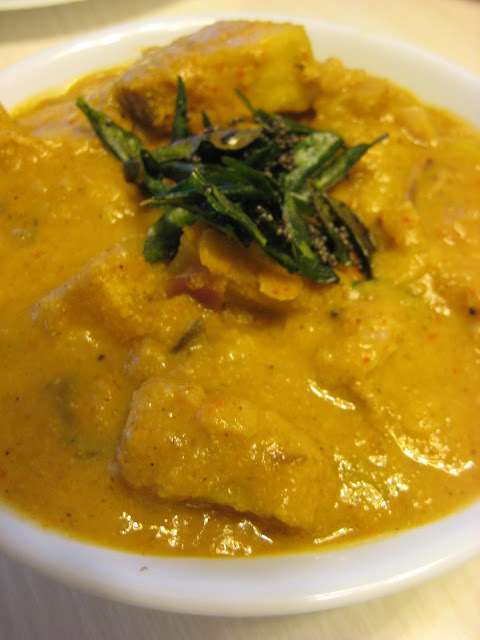 Here is a North Canara style curry prepared from Bread fruit.This goes very well with Rice and Chapathi. Its also called as Beru Halasu, Neer Halasu, Deev Halasu etc at different places in Karnataka. Majjige huli ( butter Milk curry) and Bonda also can be made from this veggie.Try it out. Enjoy. Cook the chopped Breadfruit with some salt and water until tender. Dry roast the Coriander seeds,Cumin, Methi,Cloves and whole Red Chillies. ( do not have to roast if you are using Red Chilli Powder).Then grind with Coconut,Tamarind, Turmeric, Hing and some water into smooth paste. Then mix with cooked Breadfruit, add cooked Lentil,adjust the salt to taste.Add Jaggery and boil for 4-5 min.Keep stirring in between. 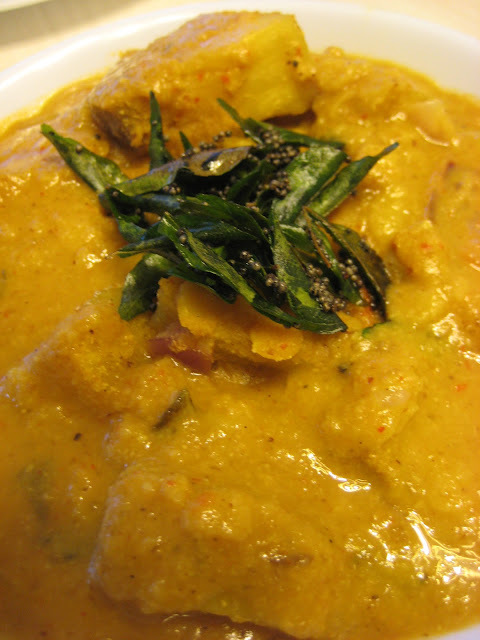 Then temper with Mustard seeds and Curry leaves. Wow..looks yumm! Anoo try madti idanna..
hey try maadu, hengithu helu, alli siktha?